Oh jeez that's funny. . Gotta stay compliant! In all fairness when trying to avoid prosecution of the law California will find ANYTHING against gun owners. Good catch on the vendor...just in case. Recently I've been hung up on Synthwave that scatters Youtube. and you guys wonder why women are fed up with bad behavior?! Last edited by Swagman00; 04-11-2019 at 10:17 PM.. Even coffe stores have that warning..
You do realize your drum mag can cause severe lead poisoning to others, don't you? WARNING! The air you breath, the water you drink, and the food you eat may cause cancer! I'll bet they put those stickers on organic salads out there. Location: N. San Diego Co.
...along with listeria warning in really super fine print in an obscure area. 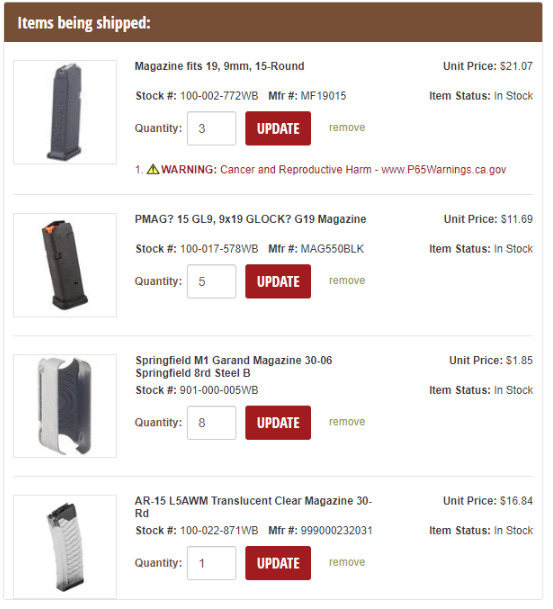 In a brownells order, only the glock magazines cause cancer. Only if you eat them or inject them. Chinese paint is much worse. They cause reproductive harm because glock kaboom kills or disfigures the glock users only girlfriend. Obviously the same is not true for the users of other manufacturers so they do not need such a warning. Because he's a celebrated and highly ranked member of your community. And from what I can tell has a relationship with the mods who organize your community. Last edited by porcupineballs; 04-15-2019 at 11:28 AM.. They cause reproductive harm because glock kaboom kills or disfigures the glock users only girlfriend. So many kabooms. Dunno why I keep buying these damn things. Hey, how come they don’t slap those labels on illegal immigrants...you know...the ones that get everything free? 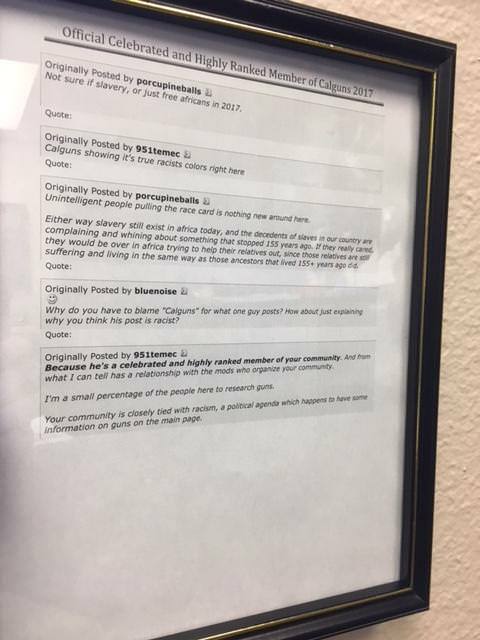 Brownells sent us a letter requesting that we add the prop 65 warning to all of our products. We were already in the process. It's pretty ridiculous. With 800+ chemicals and elements on their list, virtually everything including the basic elements of life, can cause cancer. Last edited by HighCapAssaultOpinionator; 04-19-2019 at 3:43 PM.. I like how there's a question mark after pmag. As if they're asking you... Why not just buy more glock mags instead? Are the OEM Glock mags far better? I only had 10rd glock factory magazines until freedom week and I grabbed up a bunch of pmag 17 rounders. Is there really a difference? 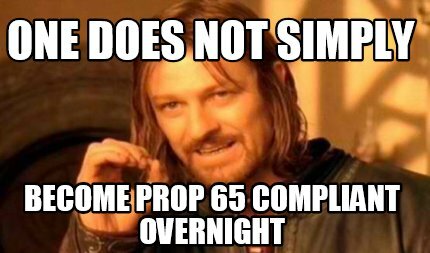 Not sure about that, but I’d be willing to bet dollars to donuts that the unopened packages of Prop 65 stickers come with Prop 65 stickers attached. Lol, cleverest thing I've read all week! !